Google announced Chrome OS a year back and they have finally come out with a version to get feedback from real users. So, Google is piloting a program where they are going to give selected users a Google Chrome OS tablet and get constant feedback from users. We’re starting with the U.S. and will expand to other countries once we get the necessary certifications. To participate in the pilot program, visit the Chrome notebook website. The test notebooks exist only to test the software—they are black, have no branding, no logos, no stickers, nothing. They do have 12.1 inch screens, full-sized keyboards and touch pads, integrated 3G from Verizon, eight hours of battery life and eight days of standby time. Chrome notebooks are designed to reach the web instantly, are easy to share among friends and family, and simply by logging in, all of your apps, bookmarks and other browser settings are there. Setting up a new machine takes less than a minute. And even at this early stage, we feel there is no consumer or business operating system that is more secure. Cloud storage for your apps, open tabs, etc. Acer and Samsung are set to bring Chrome OS notebooks to the market in the first half of next year. It is also to be available in different form factors. Chrome OS comes loaded with Chrome browser and a few web apps. 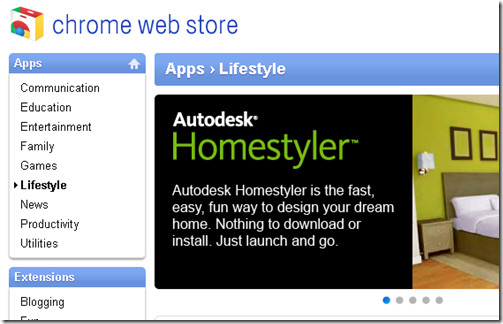 Just like how you can download and install apps on your Android smartphone or iPhone, you can download webapps from Chrome WebStore. 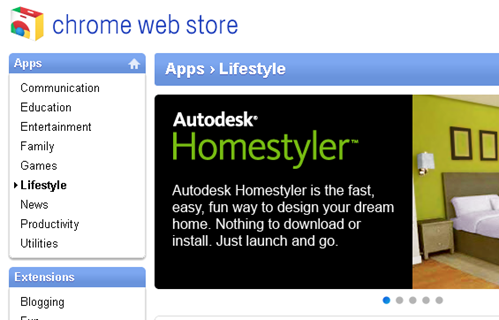 There are already quite a few web apps in the webstore both free and paid. Google is on a fire this week. They have been making announcements on new stuff left and right. Google Groups has relaunched with a Gmail like UI. Google Docs gets HTML5 offline support and a Chrome web app. So, which of these announcements get you excited? I will try to cut down on Google news for this week and concentrate on something more exciting. very cool post! thanks alot for sharing! like it!